as a good corporate citizen seriously. Aluf appreciates the concerns regarding odors in our community. The surrounding area is congested with many manufacturing operations, two sewer plants as well as small businesses. The New York State Department of Environmental Conservation (NYS DEC) is investigating all potential sources of odors in the area. 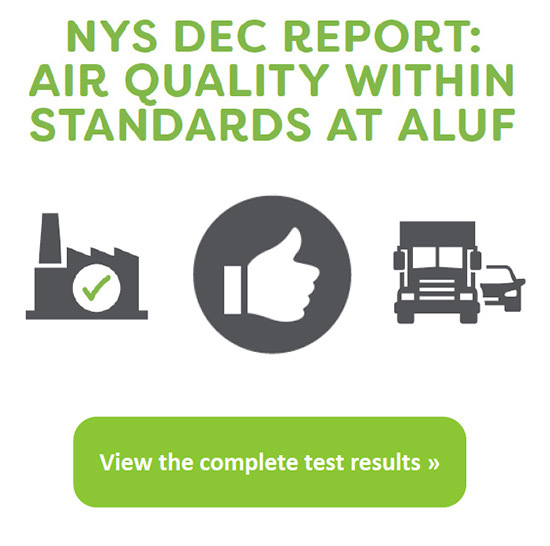 Aluf is working actively in concert with the NYS DEC both to investigate odor reports in the neighborhood and to specifically assess Aluf’s air handling and filtering systems to ensure they are efficient and effective. Aluf has been a part of the Orangeburg, Orangetown and Rockland County communities for 30 years and we welcome working with residents to resolve these odor issues as we want to continue to be a good neighbor. Aluf Plastics provides a comprehensive range of wholesale commercial industrial liners, as well as other innovative plastic products. We produce a very large variety of stock items, but also specialize in custom orders of all types. In an ongoing effort to keep you informed, Aluf Plastics will post information and news stories in this section. Review these frequently asked questions regarding odor issues in Orangeburg. It is real easy to communicate with Aluf. If you would like to report an odor, please email neighbors@alufplastics.com and our team will investigate immediately.